I was just sitting down to watch some TV and some birds caught my eye in one of the apple trees out the picture window. 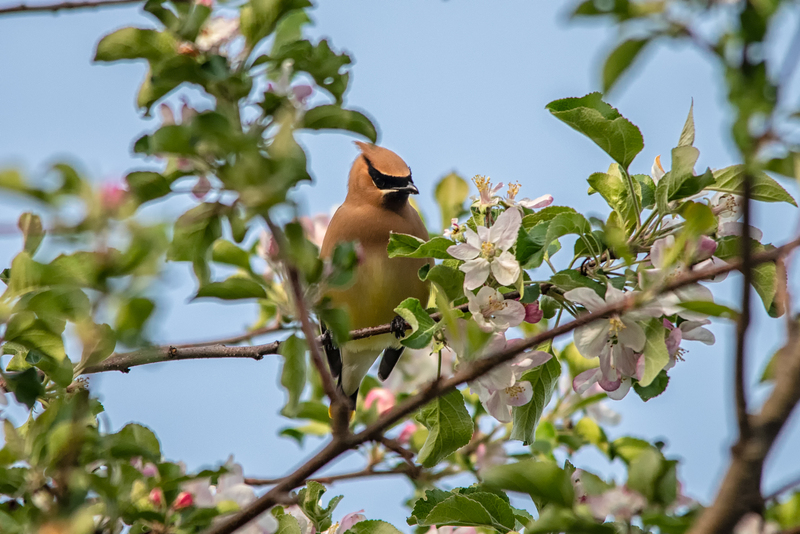 Grabbing the binoculars to see what they were and wow, Cedar Waxwings, a bunch of them munching on blossoms. I tried taking some photos out the window, but they were still too far away, so I headed out with tripod and camera in hand. These buggers are hard to capture, as they move around a lot and they’re mixed in the branches and blossoms. I have only seen Waxwings once before, and that was in Alaska, but they were Bohemian Waxwings.